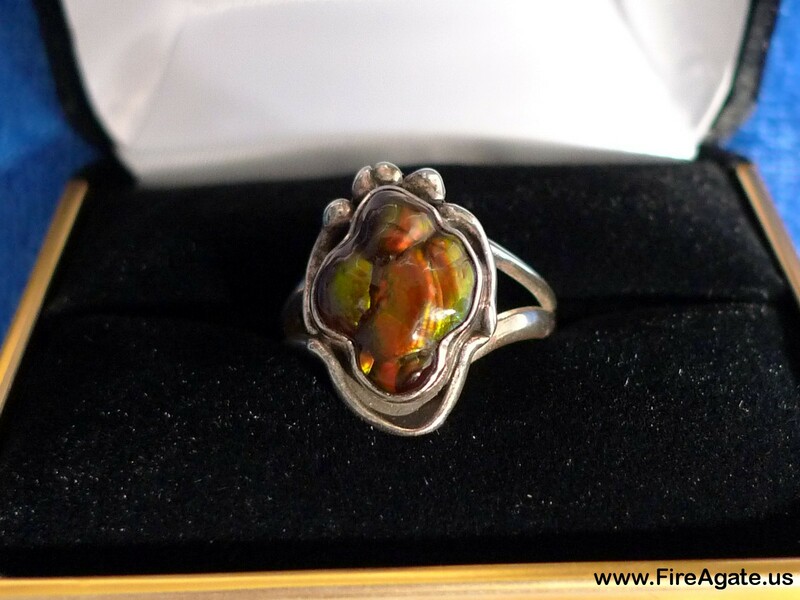 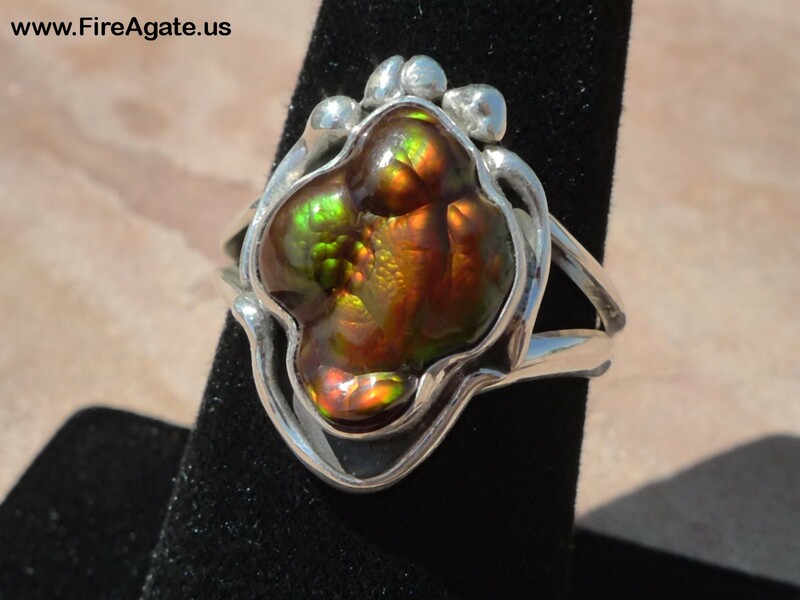 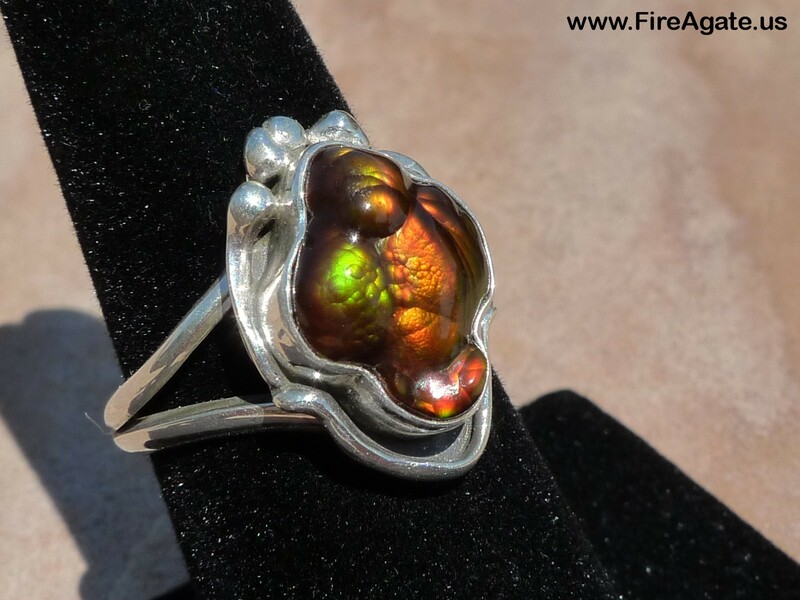 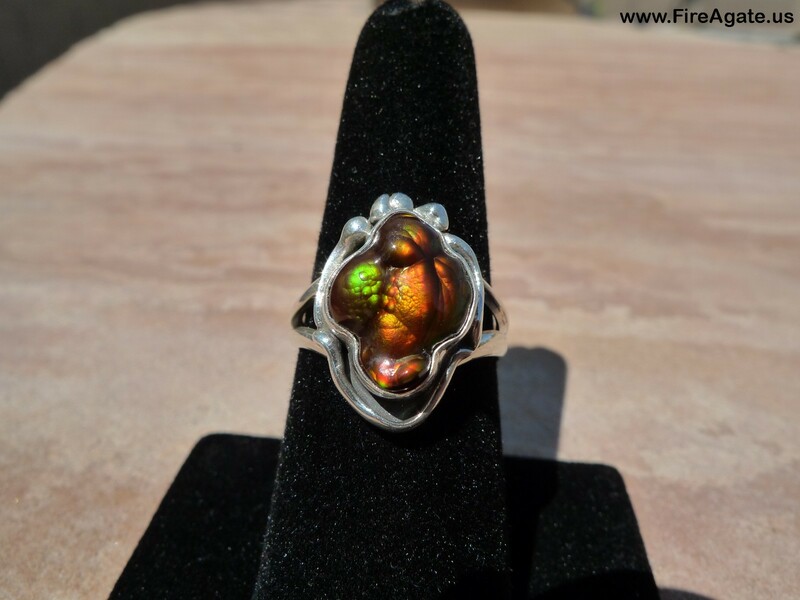 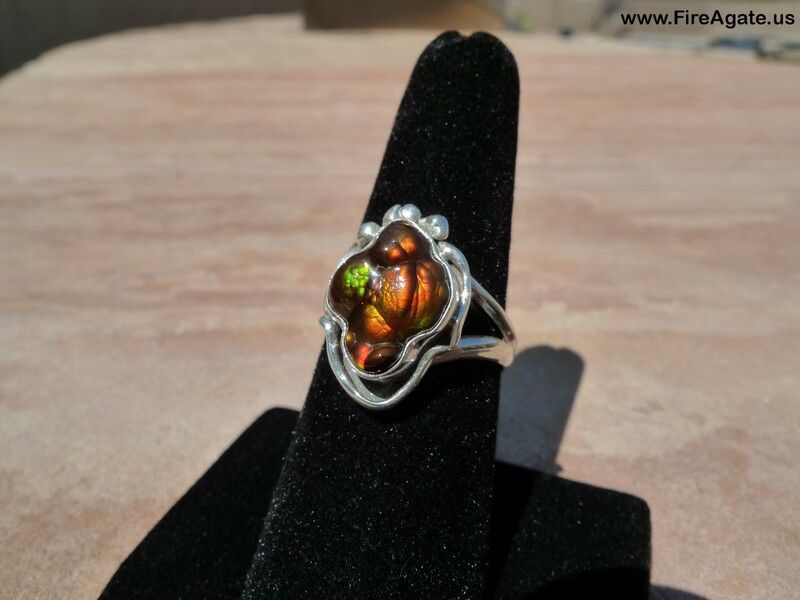 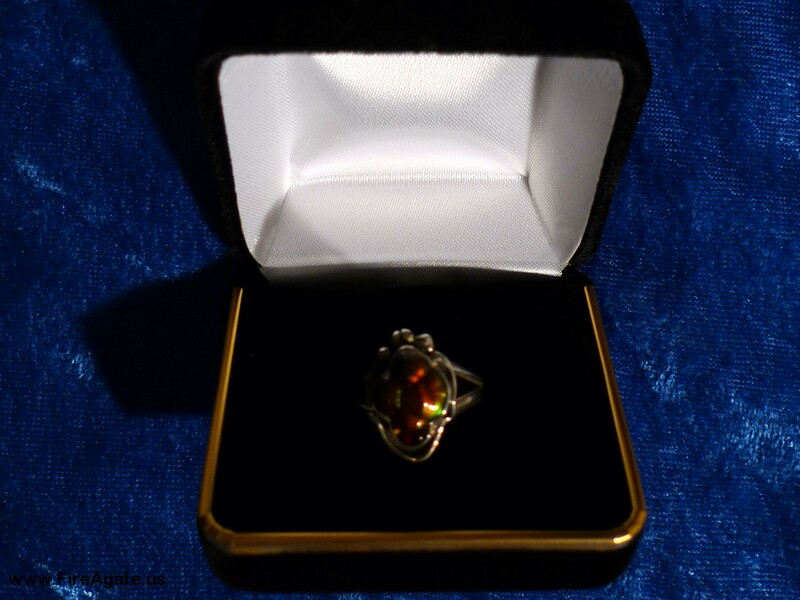 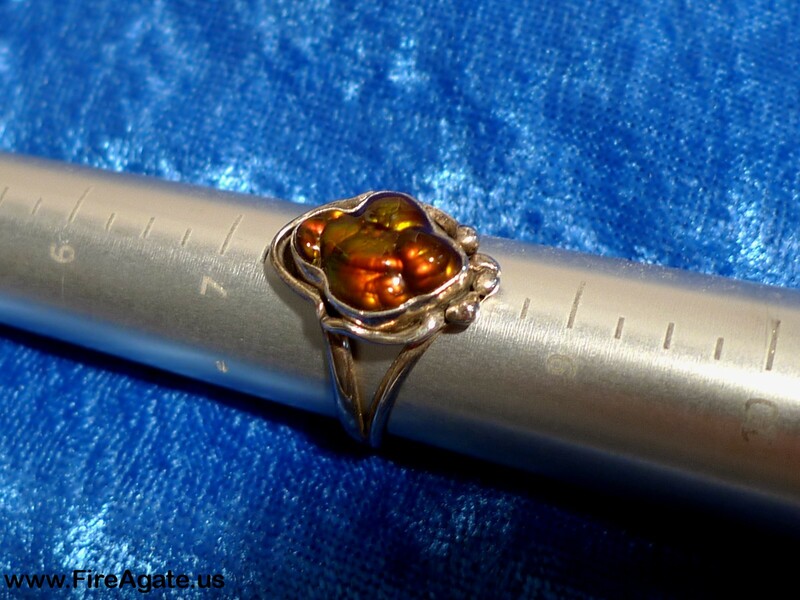 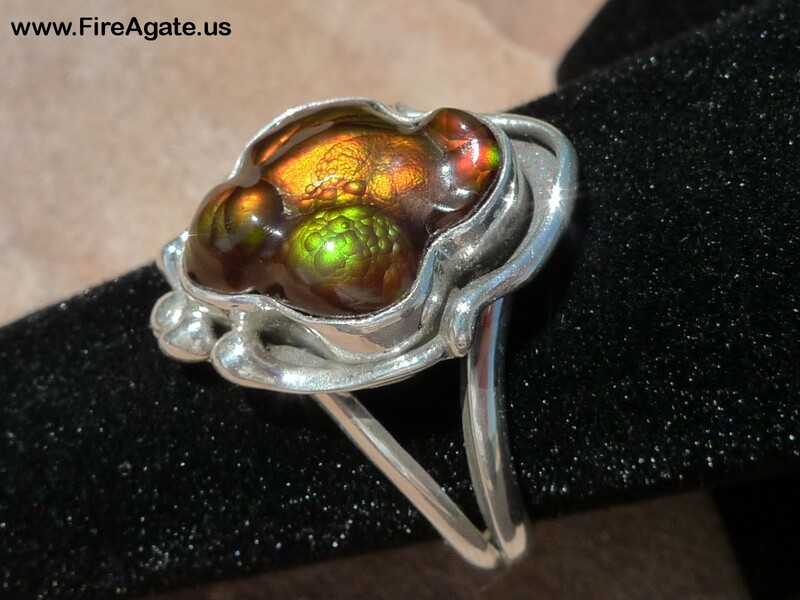 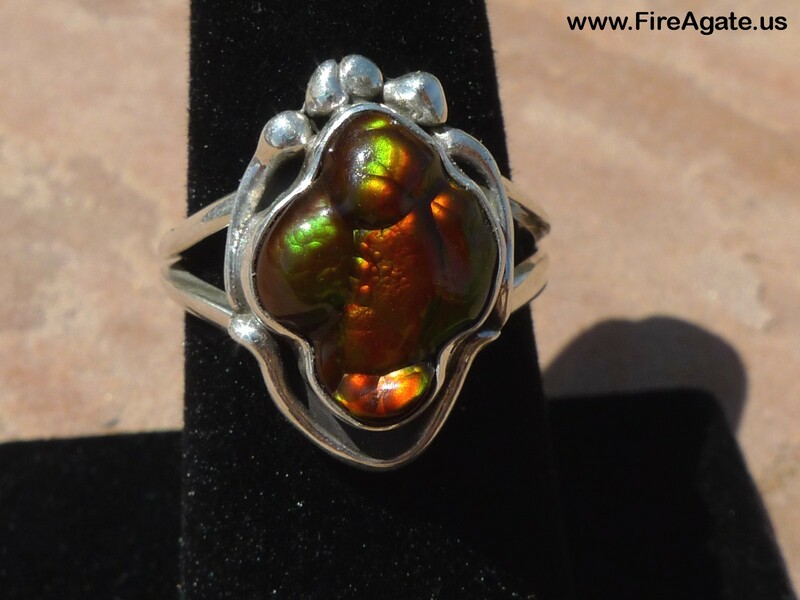 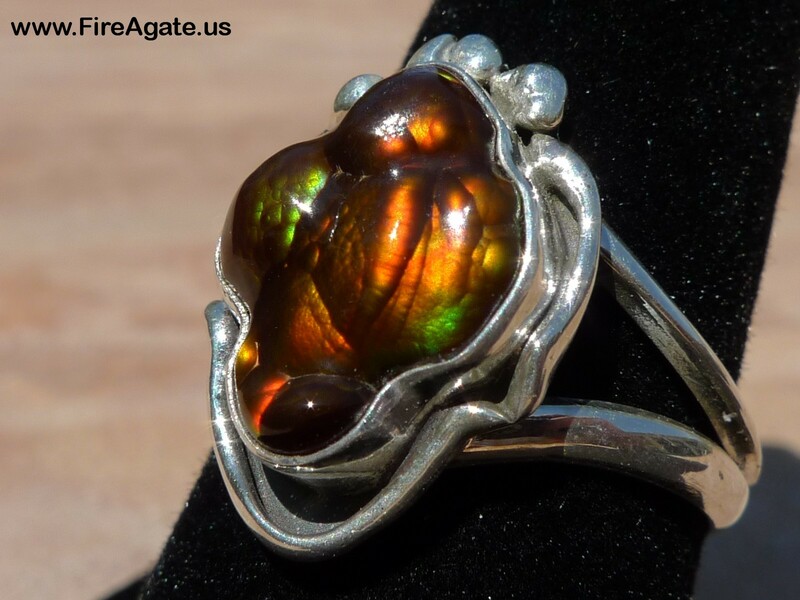 This stunning new Sterling Silver Fire Agate ring is a size 8 and features a very bright and colorful Fire Agate gemstone that was cut in Tucson from gem rough mined at 'The One Track Mine' located at Deer Creek in southern Arizona. 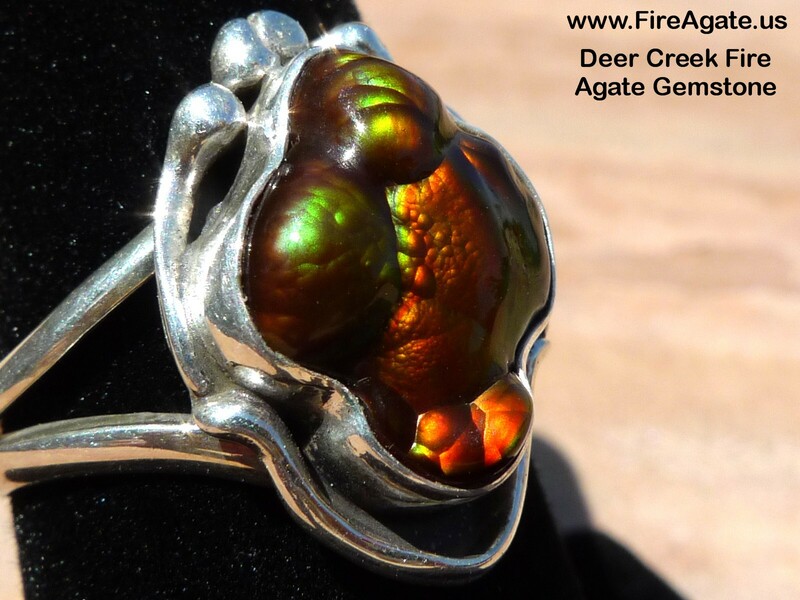 The Deer Creek Fire Agate gemstone top measures 18.9 x 13.3 mm and is a multi-colored stone that refracts very well, even in low light conditions. 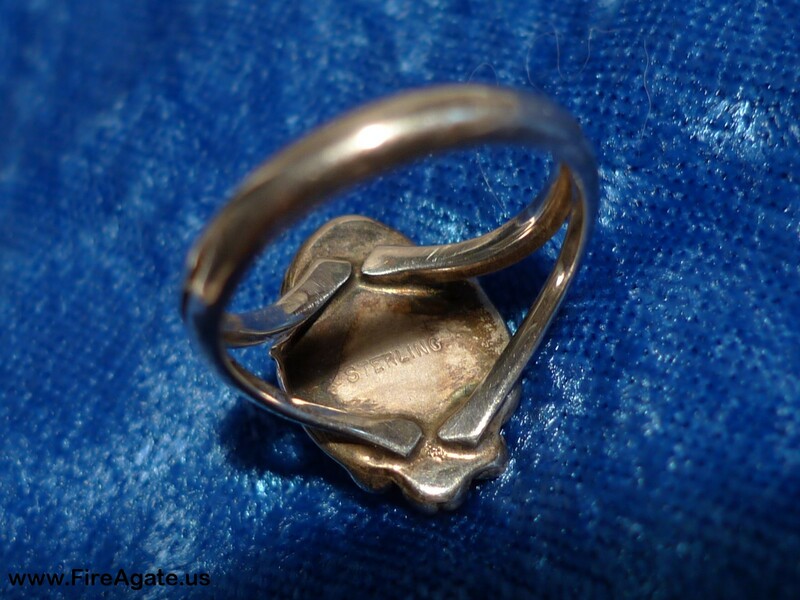 The ring is hallmarked 'STERLING' and weighs 4.6 grams.